Portland, Oregon made headlines last week it became America's largest metropolis to not fluoridate its water supply. Why is a simple ion that's been used for decades still causing such a hubbub? Because 70 years on, we're still not entirely sure how it works. Fluoride is an ion, the reduced form of fluorine, the 13th most common element in the Earth's crust. Fluoride itself is often found in minerals such as fluorite as well dissolved in food and water—1.3 ppm in seawater and 0.01 - 0.3 ppm in fresh (tap, not bottled). In excessive concentrations, fluoride can cause health problems—mild fluorosis causes disoloration of the enamel—but is filtered down to safe levels by water management in locations where the mineral is overabundant. Many home water filters also effectively remove fluoride from tap water. The WHO recommends a concentration of 0.5 to 1.0 mg/L . The MCLG for fluoride is 4.0 mg/L or 4.0 ppm. EPA has set this level of protection based on the best available science to prevent potential health problems. EPA has set an enforceable regulation for fluoride, called a maximum contaminant level (MCL), at 4.0 mg/L or 4.0 ppm. MCLs are set as close to the health goals as possible, considering cost, benefits and the ability of public water systems to detect and remove contaminants using suitable treatment technologies. In this case, the MCL equals the MCLG, because analytical methods or treatment technology do not pose any limitation. Flouride's best known as a defender of teeth,a nd for good reason. Tooth enamel is composed of hydroxyapatite, a strong mineral but one susceptible to acid erosion like that caused by sugar-eating bacterial colonies that live on the surface of the tooth. 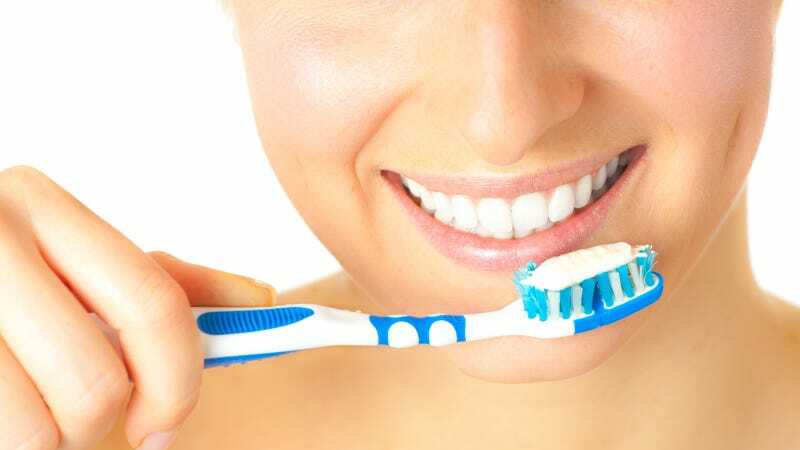 Normally, brushing will dislodge the bacteria while your saliva neutralizes the acid and allows for the tooth to remineralize. However, if more mineral is lost than rematerialized, cavities begin to form. Dental cavities are a major problem, especially in the industrialized nations, affecting up to 90 percent of school-age children and most adults. The cavity-preventive effect for teeth is often traced back to effects on demineralization. However, an effect on bacterial adhesion was indicated by indirect macroscopic studies. To characterize adhesion on fluoridated samples on a single bacterial level, we used force spectroscopy with bacterial probes to measure adhesion forces directly. We tested the adhesion of Streptococcus mutans, Streptococcus oralis, and Staphylococcus carnosus on smooth, high-density hydroxyapatite surfaces, pristine and after treatment with fluoride solution. All bacteria species exhibit lower adhesion forces after fluoride treatment of the surfaces. These findings suggest that the decrease of adhesion properties is a further key factor for the cariostatic effect of fluoride besides the decrease of demineralization. No matter how it works, the fluoride must come in direct contact with the tooth to be effective. It's typically delivered either through the water supply or fluoridated toothpastes and mouthwashes. Water fluoridation is the primary means of delivery—5.7 percent of the world population drinks fluoridated water—and appears to be quite effective. Some studies estimate an 18 to 40 percent reduction in cavities in American homes with both fluoridated water and fluoridated toothpaste over those without fluoride on tap. Conversely, the rise of fluoridated toothpastes (and even fluoridated salts) in Europe have proven a viable alternative to drinking it with significant drops in the rate of tooth decay. No matter how it's delivered, as long as you get fluoride in your mouth, there's a good chance your teeth will stay there too.